This Sandwich tastes exactly same alike the ones we get it in supermarket or bakeries. It is not a spicy sandwich but tastes great. Kids love this sandwich and it is really handy to carry during a travel or picnic. The chicken stuffing hold the bread slices together and the stuffing does not drip allover. Even If you are a messy eater the stuffing will not fall off while eating (unlike other sandwiches). This the main highlight of this recipe. Can be eaten as a breakfast, kids lunch box or snack during picnics. Pulse the chicken twice or thrice to make a slight minced stage. Do not make as a paste. Transfer the chicken into a bowl and add mayonnaise, spring onion, celery and pepper powder; Mix well. Take bread slices and fill with a tablespoon or two and spread evenly. Close this with another slice of bread and slightly press with hand. Trim the edges of the sanwich and cut diagonally to get triangle shaped sandwiches. Note: People like chunky pieces of chicken can skip mincing the cooked chicken. Can add bell peppers (Capsicum), lettuce also in this sandwich. oh yummmm .. We do this all the time when we plan for a trip. Very tasty sandwich recipe; my kids will love this one. easy to make and super yumm.. They look so tempting, can mayo be replaced with any other chutney? or sauce? Can be replaced with hung yoghurt. 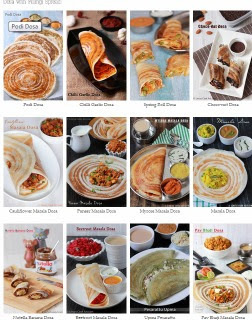 We tried this out for breakfast last Sunday. Came out very well. Everyone in the family loved it particularly my 4 yr old choosy kid. Thanks a ton for the easy recipe. Thanks Ramya for the feedback. Looks delicious, i love a nice chicken sandwich, tanks for sharing. Looks so good. Can i please know how many sandwiches will this recipe yeild? Is it ok if I press it in sandwich maker? 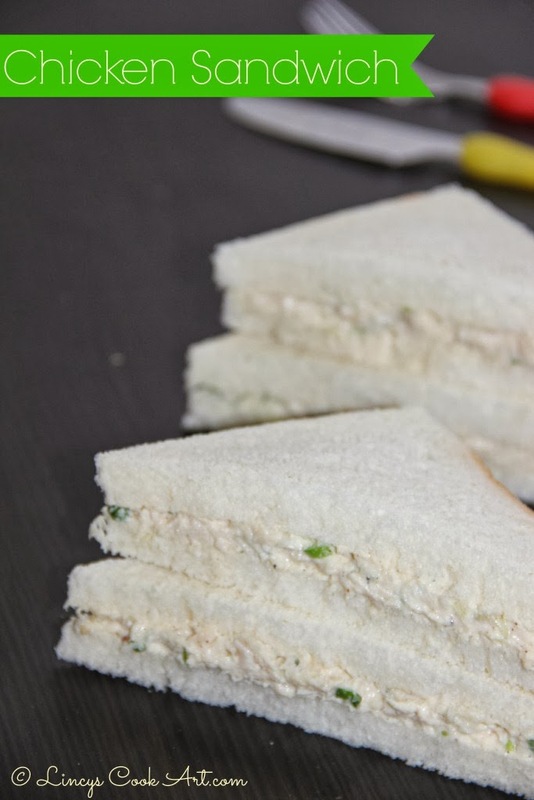 It yields 3-4 sandwiches| chicken breast(250 gms). Avoid using sandwich maker for this sandwich because the mayonnaise tend to liquidize when u heat the sandwich and spoil the texture and taste of this sandwich. Thank you so much Lincy for such a quick reply.